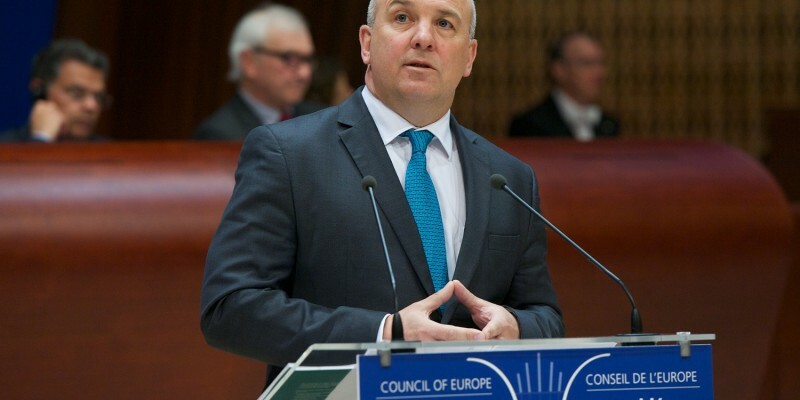 The Council of Europe Commissioner for Human Rights, Nils Muižnieks, presented today in Strasbourg his annual activity report 2014. The Commissioner is concerned by the “increased pressure against NGOs and the media in many Council of Europe member states”. 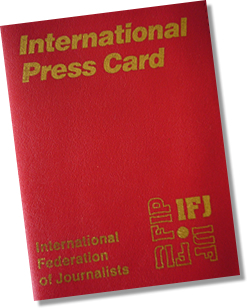 Nils Muižnieks quoted the European Federation of Journalists (EFJ) in his report. Here are some excerpts. 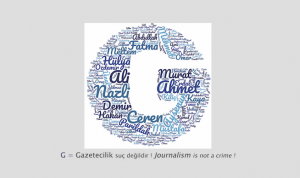 “NGO activists and journalists also increasingly became targets of harassment and defamation campaigns. Such campaigns have been organised directly by those in power in some countries, or indirectly by state proxies, such as dependent media outlets, government organised NGOs (“GoNGOs”), and at times, militant religious activists with links to governing circles. These campaigns took place in the context of stigmatising rhetoric employed by those in power against journalists and NGOs. Critical journalists and activists were often dubbed “spies” or “traitors”, while independent NGOs were occasionally tarred as being quasi-political parties with a partisan agenda or harbouring aspirations for political power”. “Judicial harassment sometimes accompanied verbal or physical harassment, with media outlets subject to spurious defamation suits, abusive application of hate speech or anti-extremism laws, and the forced disclosure of confidential sources (…). On occasion, judicial harassment has been complemented by administrative pressure – the creation of difficult obstacles for the registration or re-registration of media outlets or NGOs”. “The authorities in some countries also sought to quell criticism from NGOs and media outlets through the application of financial levers, such as punitive taxes. In some national contexts, administrative authorities could apply high fines directly against media outlets for “market manipulation”. Critical media outlets found that government advertising contracts and the communications budgets attached to European Union funds went only to government-friendly media”. “What can be done to reverse this negative trend? Threats or physical attacks against journalists or human rights defenders are attacks against democracy and should be treated as such by the highest political leaders in the country. Political leaders should respond quickly, defend the targets unequivocally, and condemn the attacks in the strongest possible terms. Effective investigations should aim to apprehend and punish not only the perpetrators of the attacks, but those who masterminded and paid for them. Robust police protection to journalists or human rights defenders should be provided as long as necessary. The military and police forces need training on interacting with journalists and human rights defenders, so that everyone can do their job effectively and safely”. “Political leaders should refrain from rhetorical attacks against media and NGOs, even when policy disagreements are acrimonious. Politicians should distance themselves from their colleagues who engage in such attacks and recall the vital human rights role played by a critical media and NGOs, with whom regular channels of dialogue should be established. Instances of judicial harassment raise the broader issue of the independence and impartiality of the judiciary, which may need reinforcement through legislative changes, training or the strengthening of self-governance mechanisms”. “The legislative framework governing media freedom and the work of journalists should be reviewed to address any undue restrictions. Defamation should be de-criminalised and replaced with proportionate civil sanctions. Any fines levied on media outlets should be subject to judicial review. 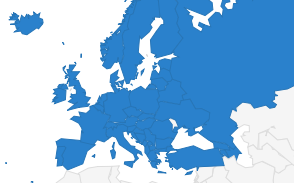 According to a survey conducted by the European Federation of Journalists, data retention and privacy laws topped the list of concerns among media workers. Here, the case law of the European Convention on Human Rights should serve as a guideline for reforms. Post-Charlie Hebdo, a worrying trend of criminalisation of speech related to terrorism has re-emerged, with legislators proposing vaguely worded laws to restrict more than just direct calls to engage in terrorist acts or directing such attacks. I have urged caution and human rights proofing of any such legislation (…)”. “There is a need for a frank debate about improving the financial environment for media and NGOs. Media outlets are not businesses like any other, given their critical role in making democracy function. With austerity, advertising budgets have collapsed and subscribers have become thriftier, creating short-term financial challenges. In the long-term, the growth of free-of-charge internet-based content has threatened the survival of many media outlets. An urgent discussion on alternative means for funding media is necessary (…)”. “The human rights achievements of the previous decades have often been due to the courageous work of investigative reporters and human rights defenders working through NGOs. The current pressures being exerted on media outlets and NGOs threaten to undermine these achievements and our democracies as a whole. We need to take strong measures to ensure the viability of both independent media and NGOs, lest we wake up one day with no reporters exposing corruption, abuses of power and human rights violations; lest we wake up with no NGOs to defend journalists under pressure and to speak up for those who are unpopular in society or lack a voice”.